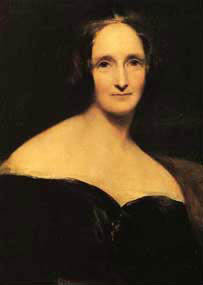 The Last Man is an apocalyptic novel by Mary Shelley, first published in 1826. The book tells of a future world ravaged by a plague. The novel was poorly reviewed at the time and was not republished until 1965. Some of the characters in the novel are semi-biographical versions of herself, her late husband, Percy Bysshe Shelley, and Lord Byron. I include it here because of the introduction, in which the author uses the device of the Sibyl's cave, near Cuma, to advance the narrative. The premise is that she discovered in the cave a collection of prophetic writings painted on leaves by the Cumaean Sibyl and edited them into the finished product, the first-person narrative of a man living at the end of the 21st century. The Shelleys spent some time in Naples in real life, too, as you may read at this link. "Nevertheless, I will try it," said my companion; "it may lead to the real cavern. Shall I go alone, or will you accompany me?" I signified my readiness to proceed, but our guides protested against such a measure. With great volubility, in their native Neapolitan dialect, with which we were not very familiar, they told us that there were spectres, that the roof would fall in, that it was too narrow to admit us, that there was a deep hole within, filled with water, and we might be drowned. My friend shortened the harangue, by taking the man's torch from him; and we proceeded alone. Ne' nvidio insieme, o mio nobil tesoro? I present the public with my latest discoveries in the slight Sibylline pages. Scattered and unconnected as they were, I have been obliged to add links, and model the work into a consistent form. But the main substance rests on the truths contained in these poetic rhapsodies, and the divine intuition which the Cumaean damsel obtained from heaven. I have often wondered at the subject of her verses, and at the English dress of the Latin poet. Sometimes I have thought, that, obscure and chaotic as they are, they owe their present form to me, their decipherer. As if we should give to another artist, the painted fragments which form the mosaic copy of Raphael's Transfiguration in St. Peter's; he would put them together in a form, whose mode would be fashioned by his own peculiar mind and talent. Doubtless the leaves of the Cumaean Sibyl have suffered distortion and diminution of interest and excellence in my hands. My only excuse for thus transforming them, is that they were unintelligible in their pristine condition. My labours have cheered long hours of solitude, and taken me out of a world, which has averted its once benignant face from me, to one glowing with imagination and power. Will my readers ask how I could find solace from the narration of misery and woeful change? This is one of the mysteries of our nature, which holds full sway over me, and from whose influence I cannot escape. I confess, that I have not been unmoved by the development of the tale; and that I have been depressed, nay, agonized, at some parts of the recital, which I have faithfully transcribed from my materials. Yet such is human nature, that the excitement of mind was dear to me, and that the imagination, painter of tempest and earthquake, or, worse, the stormy and ruin-fraught passions of man, softened my real sorrows and endless regrets, by clothing these fictitious ones in that ideality, which takes the mortal sting from pain.